FAQ 1: Why should your trial attorney refer you to an appellate attorney? An Appellate Attorney devotes the time that you do not have for an appeal. If you are visiting this website, you are likely an attorney with a busy trial practice. Whether you won or lost in the trial court, it takes a lot of time to prepare an appeal, perform additional research, and write a solid appellate brief. The demands of your practice — telephone calls, letters, discovery, motions, and dealing with opposing counsel and your clients — leave little time to focus on the research and writing required to develop an effective appeal. Presents persuasive and helpful oral argument. An Appellate Attorney brings a fresh perspective to your case. An appellate advocate rethinks the case to provide a fresh perspective for the higher court. She seeks strengths and weaknesses in the arguments that might not be obvious to the attorney who worked on the case from its inception. An appellate attorney will sort through and select the best arguments to persuade the court in favor of your client. An Appellate Attorney guides you through the intricacies of the appeals process. Appellate procedure can be a daunting hurdle for a busy trial attorney. An appellate attorney will help you maneuver your way through the court rules governing appeals, and advise you and your client on the impact of those rules on your case (such as standards of review, stays pending appeal, bonding requirements, and appellate motions). An appellate attorney is aware of the pitfalls of appellate procedure, the likes and dislikes of the appellate judges, new developments in the appellate rules and their interpretation. An Appellate Attorney advocates for your client. The trial attorney’s job as an advocate is distinct from an appellate attorney’s brand of advocacy. 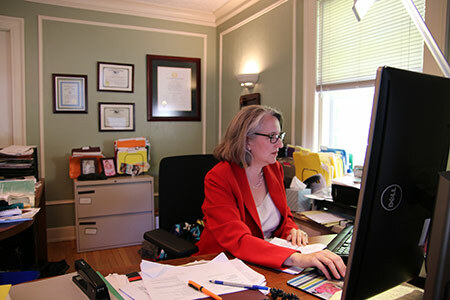 An appellate attorney excels in research and writing. She can re-work complex and specialized cases so the appellate courts, who do not share the trial counsel's practice focus, can more easily understand the relevant arguments. Due to time constraints and costs, trial practitioners may not be able to provide the depth of analysis that appellate courts demand. An appellate advocate will advocate for your client in a manner that is most effective for a client's particular case, always bearing in mind the audience (the appellate judges and support attorneys). An appellate advocate knows how to converse with the bench during argument and effectively anticipate and answer the judges' questions. FAQ 2: How much time do I have to appeal? FAQ 3: Do I have an appeal? FAQ 4: How much does an appeal cost? FAQ 5: Does my appeal go back to the same trial court judge? FAQ 6: At what point can you hire an appellate attorney? FAQ 7: What do I need to do to retain Speaker Law Firm? FAQ 8: What can I expect once I hire Speaker Law Firm?